I dabbled in wood sculpture as part of a sculpture class. This was my first attempt at making a wood sculpture. I would like to revisit it at some point. 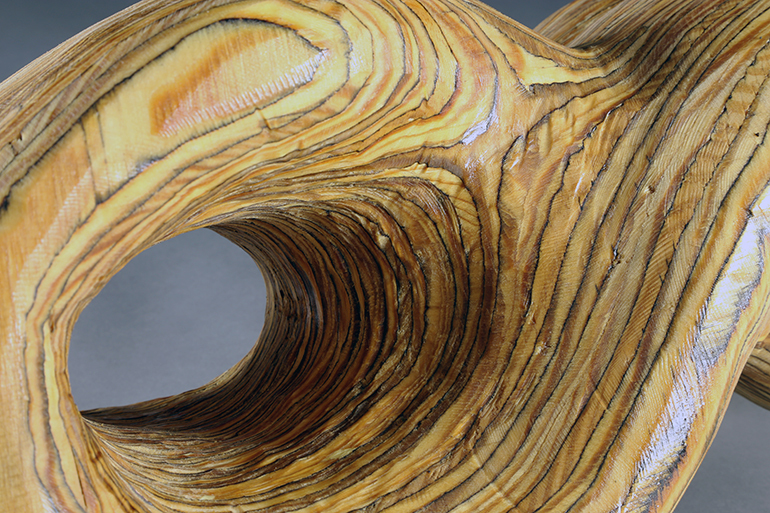 I saw plywood sculptures and became fascinated with how such a throw away material could be so beautiful. Plywood is viewed as a material to be hidden not used to construct a beautiful form. 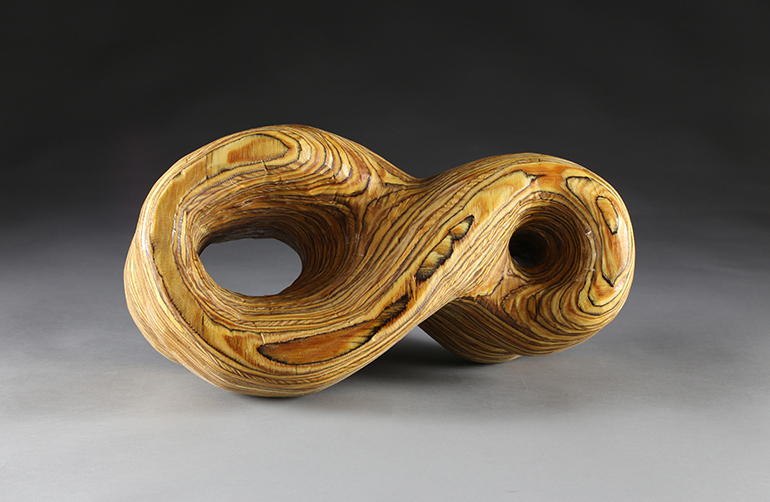 This form did not originally start with the goal of looking so much like an infinity symbol. 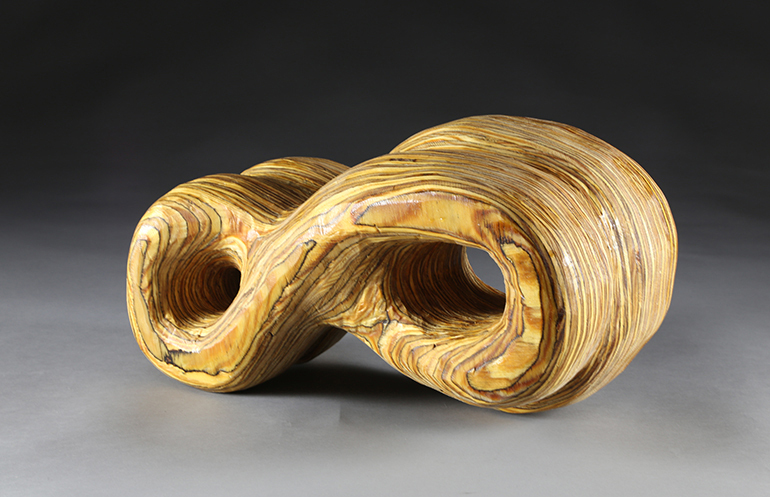 My goal was to explore a dynamic, organic form. I believe it accomplished this even though the form is a bit cliche.